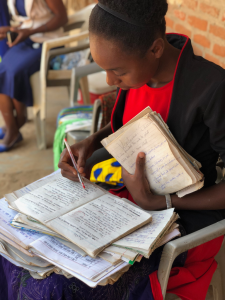 The result of more than half a year of highly exciting and motivating work can be seen here today: Living Schools Malawi! In this blog post we want to talk in detail about the background, the goals and the whole process of this project. The United Nations Children’s Fund (originally United Nations Children’s Fund, UNICEF since 1953) supports children and mothers in approximately 150 countries in the areas of health, hygiene, nutrition and education, and provides humanitarian aid in emergency situations. The mission of UNICEF is to advocate for the protection of children’s rights, to help meeting their basic needs and to expand their opportunities to reach their full potential, regardless of their skin color, religion or provenance. The guideline for worldwide work is the UN Convention on the Rights of the Child. From rapid relief to long-term reconstruction, UNICEF helps girls and boys to grow up healthily and safely anywhere in the world and to fully develop their skills. In Germany alone, 8.000 volunteers are involved in about 200 UNICEF groups. Young people and students are active in university groups and junior teams. Every year, donations amounting to more than EUR 100 million are generated by small and large donors. A big challenge for UNICEF is a fast and efficient communication not only within its own organization, but also between project countries and donors in the majorly developed nations. Every day, people from many countries contribute in a variety of projects. The way the progress of projects is communicated towards donors and supporters in countries like Germany is often very old-fashioned editorial style which is relatively complex and slow. Major donors receive a long, written report once every six months. Elaborated articles related to project progress are reported on the local country websites. This communication output is of high quality but it is very costly and not necessarily authentic. It is clear: If people are informed faster, more directly and more openly, they will be more willing to engage in the long term. 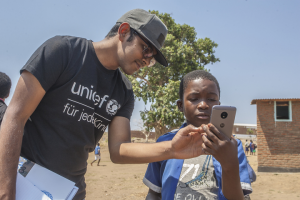 Together with the German UNICEF team, we thought: In the age of smartphones and social media, we should rethink the way the content in many project countries should be created, aggregated, and ultimately communicated towards the various stakeholders at the very other end of the world. We envisioned the most efficient mobile communication channel between project countries on one hand and supporters in the donor countries on the other. A channel that communicates both the progress in individual projects and the emotional side using the example of local people. Content that can be easily provided by teenagers, helpers and UNICEF staff on site with a smartphone. Up-to-date and concise, personal and direct. Content based on micro-content style as you know it from social media, but under your full control, on your own website or app. Efficiency and simplicity play a key role here as resources are always short in supply within an organization like UNICEF, which operates in so many corners of the world. At the same time, there is a growing need for information and communication with the various stakeholders in the developed countries. We quickly agreed on the objective to based our assumptions and ideas to a first practical test. 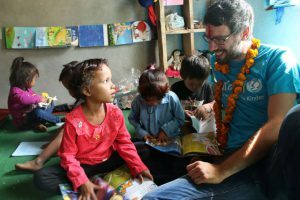 An employee of UNICEF Germany traveled to Nepal during fall 2017. With the “Let Us Learn” education initiative there, UNICEF supports and helps disadvantaged children with little or no access to education. The goal was to create and communicate information about this project in the simplest possible way. Previously, we agreed on technical details and content formats and developed a first, rough content structure and strategy. 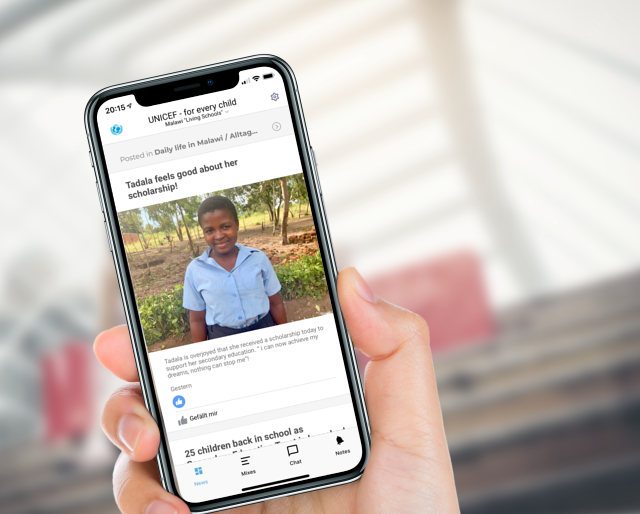 Using the UNICEF app – “powered by tchop” – photos, videos and short text contents were created, commented and uploaded directly into the right mixes at tchop. Via Real Time Chat, we were able to coordinate and communicate within the project immediately. We learned a lot and understood some of the requirements to generate content on-field even better. Much has gone into new features and enhancements that will benefit other corporate or publisher customers. We were glad that UNICEF found tchop’s potential as a complete technical solution for efficient, mobile communication right from the start. Our own philosophy aligns with the ideas of the communication and marketing team of UNICEF. The most important thing: the results were promising! It created exciting, authentic impressions with the simplest means. The German UNICEF team therefore decided to look for a project country or partner in order to start the first real pilot project with tchop. 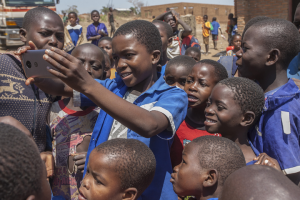 In mid-2018 a great UNICEF project was started in Malawi, one of the least developed countries in the world. 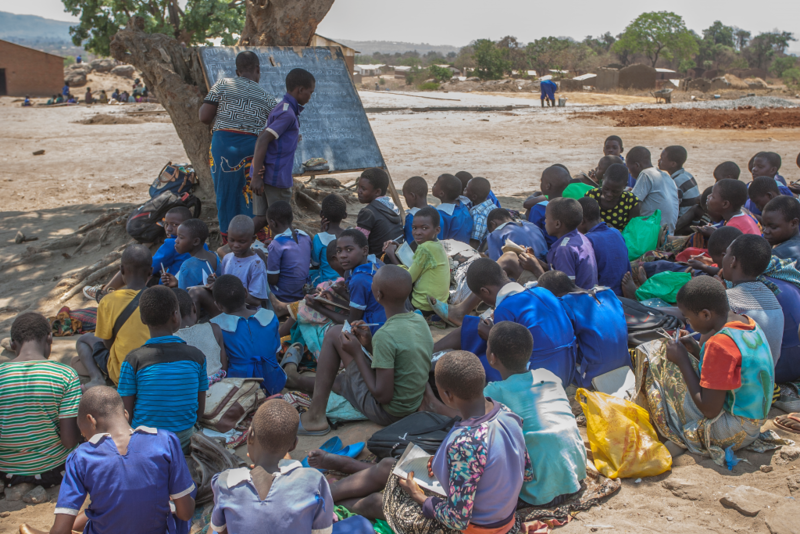 In Malawi the schools of the future are born. UNICEF calls them the “Living Schools”. Here, better provision of water and sanitation to pupils and teachers is combined with the active protection of the environment. The schools will be equipped with a water supply system powered by solar energy. So there is always fresh water on site – not a given in Malawi. Modern e-learning also makes solar energy possible, as it allows Tablet PCs to be operational. In the school garden, the students grow vegetables themselves. There are also child-friendly and gender-separated sanitary facilities, even for disabled children. This is especially important for girls, many of whom do not go to school during their menses due to the lack of hygienic toilets. Schools are becoming an important center for local communities. In doing so, they fulfill a role that goes far beyond the way of classical education as we know it here. The term “Living Schools” describes it perfectly. The main goal of tchop was the implementation of a special project page as a subdomain of the German UNICEF website. There, “Living Schools” should be not only presented, but also interested people should find current information and news directly “out” of the project and learn more about the local people and gain an authentic impression of the work on site. 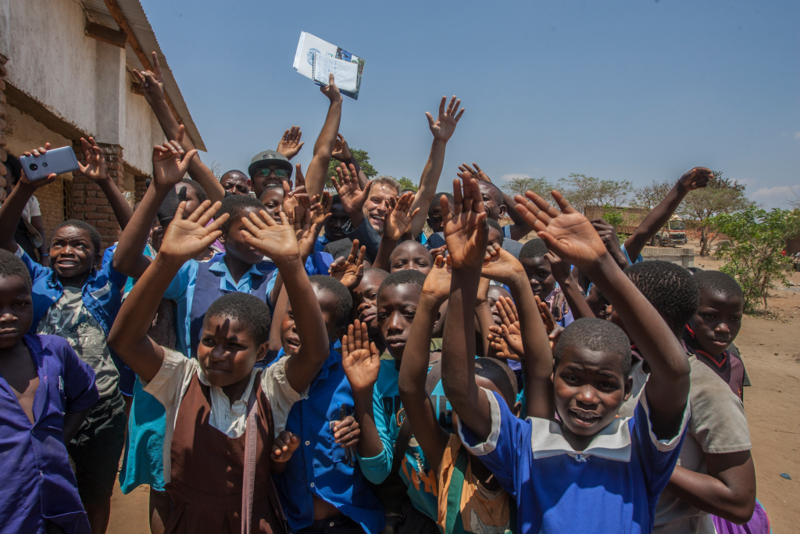 German users can thus get up close and personal with the progress of the “Living Schools” and learn a lot about the everyday lives of the people in Malawi. In mid-2018, joint planning with the German team of UNICEF began in coordination with their colleagues in Malawi. 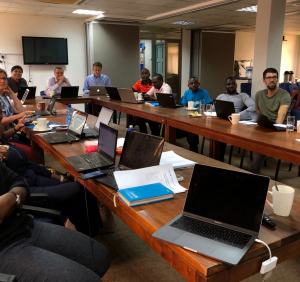 From 10th-13th October 2018, together with our colleagues, we traveled to Lilongwe, the capital of Malawi, to attend a kick-off workshop. Apart from the coordination within the whole team, it was about generating content “on the field”. And thus for us to learn and better understand the requirements in terms of real “user-generated content” under such conditions. After an intense workshop on the second day, the whole group went to the Nankhali School on the outskirts of Lilongwe. There we were warmly welcomed by the faculty members of the school. Divided into small teams of 3-4 people, we set off, equipped with a smartphone and a lot of curiosity. As part of the workshop, we had jointly developed various content formats that have now been subjected to a practical test. In each group there was a child of the Nankhali School, who not only introduced us to their world, but also, being highly motivated, made photos and videos from their very own perspective. Countless impressions, photos and videos came together from different perspectives with multiple messages and characters. As part of the workshop, we were also briefed on further activities and projects by UNICEF Malawi, which should be included in tchop project in terms of content and operation. This includes the use of drones to better analyze remote areas as well as the training of young people as “Youth reporters” (soon more on this in a separate blog post). That same evening, we sorted the content and structured as well as commented on it with a few clicks in different “mixes”. 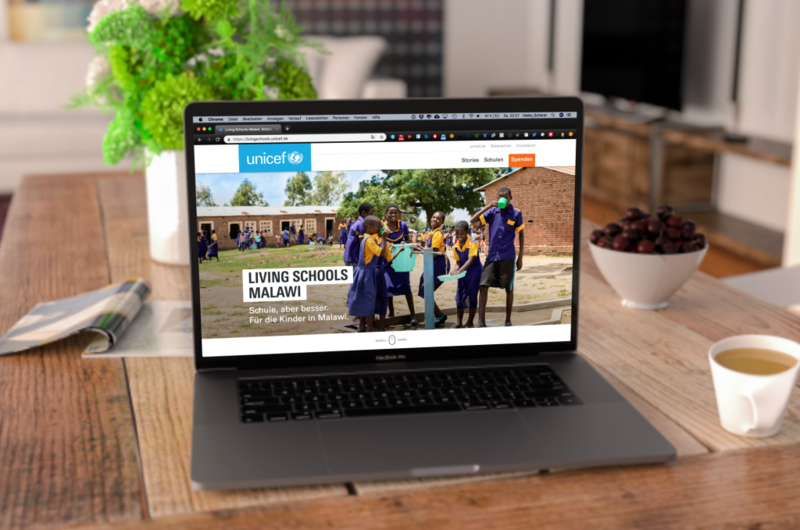 The next day we presented and discussed the output at a workshop with the head of the UNICEF office in Malawi – in the form of the finished UNICEF app and Living Schools landing page (prototype) with “live content”. After a total of four intense days in Malawi, things got tired but equipped with many new impressions and ideas back to Germany. Even today there are great remote work tools that we use every day, personal face-to-face exchanges are irreplaceable, especially at the beginning of such a project. The simplicity of the entire “Content Creation & Curation” process has impressed everyone. Even the less smartphone-savvy teens in Malawi did not need 5 minutes to take pictures of their everyday lives. The result was emotional in content, informative and authentic. The German team was able to filter the content with just a few steps and provide short comments or headlines. And most importantly, everyone agreed that this could be an exciting, novel communication offer for sponsors, donors and helpers in Germany. A form of direct communication that can build bridges over thousands of miles. Even before we traveled to Malawi, we had agreed with the German team on an HTML prototype of a simple landing page. Based on the tchop data interface, locally produced content was immediately displayed in the corresponding mix structure and arrangement. In addition to the communication in the closed user groups of the app, the aim of this website was to make the concept accessible to a larger circle in Germany and to generate donations via the site. Technically, this website is based exclusively on the output of the tchop interface. It is thus a good example of how simply and dynamically digital contents of our platform can be integrated and displayed into your own intranet, CMS or on your own website. And of course a donation for this good cause. We agree with the team of UNICEF in the hope that this is only the beginning. The internal feedback is very positive. Other UNCIEF countries have started testing, and others are showing interest in adopting this strategy. At a major international meeting, the platform will soon be presented in detail, so that the approach can be extended to other countries and projects. In addition to “Living Schools”, tchop is already being used in another project in cooperation with UNICEF Malawi. It’s called Youth Out Loud and offers young reporters and media professionals a platform. More on this soon in a separate blog post. Special thanks goes to the colleagues of UNICEF in Germany and Malawi. Their daily work for the children and families in the poorest regions of the world made all this possible. That we are allowed to contribute to this project, fills us with great joy and motivation. If you want to know more about other exciting UNICEF projects this year, we recommend to follow this blog post of UNICEF.